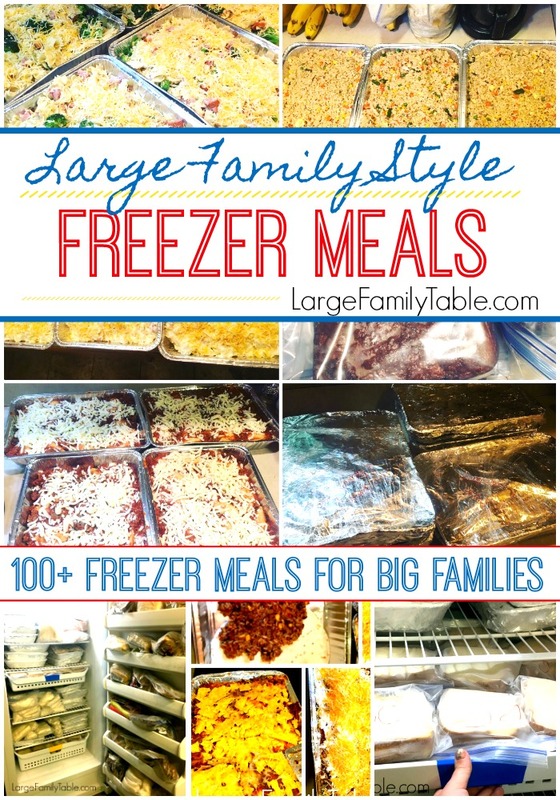 Here’s another super frugal recipe that is also perfect for the freezer. 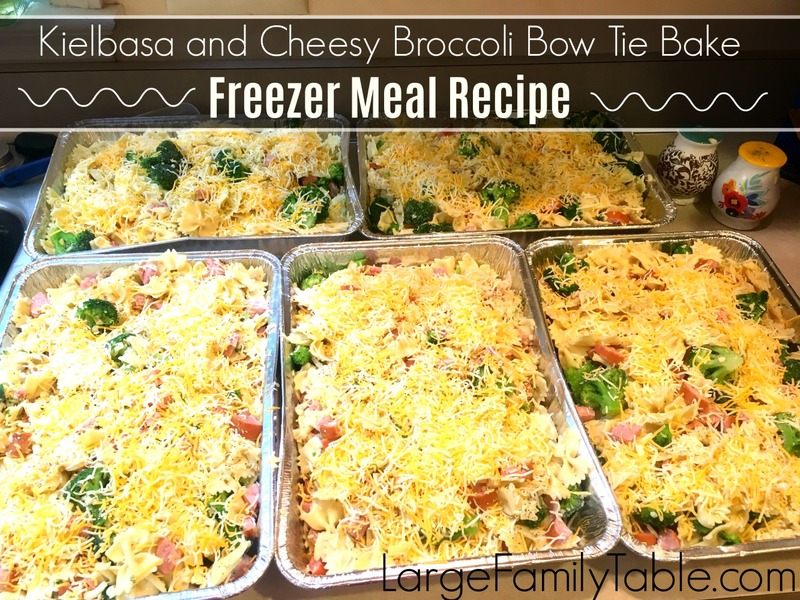 This Kielbasa and Cheesy Broccoli Bow Tie Bake freezer meal recipe yields six 9×13 pans. My four-year-old, Amelia, loves this recipe. This is an easy one that some kiddos can help momma make in the kitchen, too! As always add along your favorite side dishes, salad, and/or fresh chopped veggies. Chop the 4 lbs of precooked Kielbasa into small chunks or desired size pieces. Combine cooked pasta, chopped Kielbasa, frozen broccoli, and 3 cups of mozzarella in a large mixing container. Gently mix the ingredients. Evenly divide into up to six 9×13 baking pans. 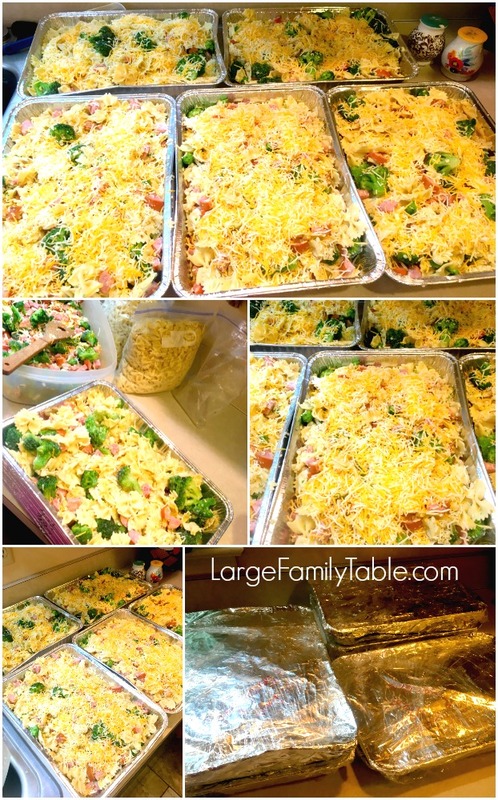 Top each pan with additional 1/2 cup of Shredded Blend Cheese. You can, of course, use any cheese you prefer or have on hand. 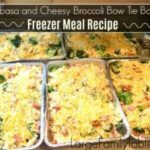 Set the desired pans of Kielbasa and Cheesy Broccoli Bow Tie Bake out in the refrigerator the evening before you’d like to serve them. 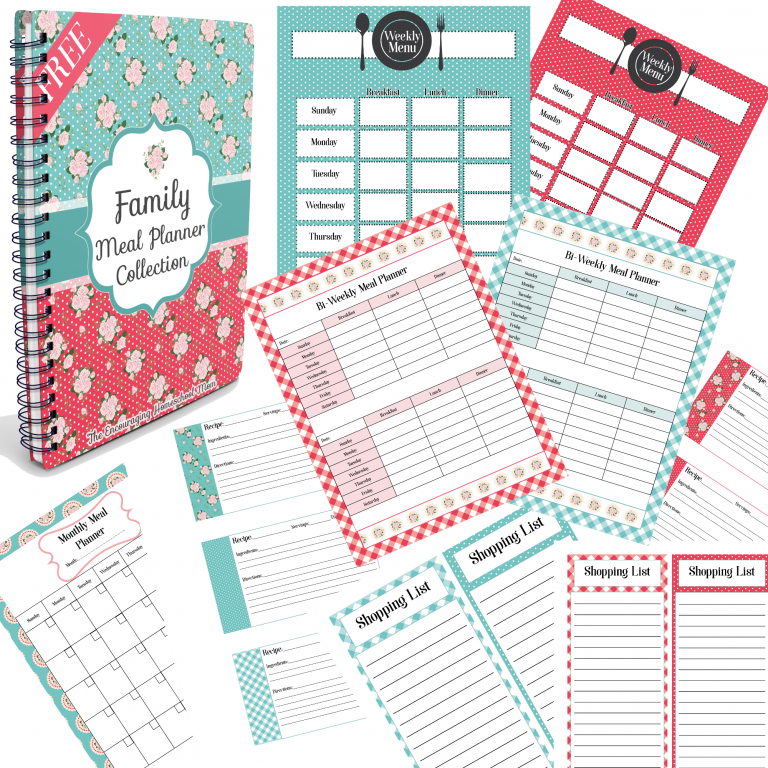 DON’T FORGET to pick up your Free Family Meal Planning Collection here!